Saw this on Facebook. It seems to be BH Abominus with a new scout class torso, leading to much better proportions. Also, take note of "Quintessa"; is it just me or does she seem like the creator Prime was speaking with in the trailers? From Sunson Son Facebook we get these pictures. The character is Infernocus, remold of Beast Hunters Abominus but with a new central body member and head. We see a small picture of Quintessa too. 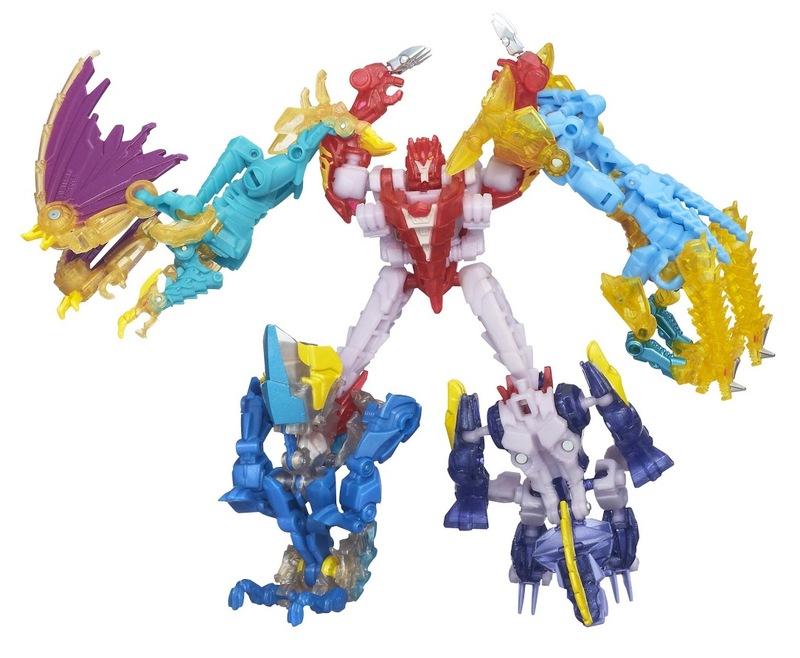 And I think this is definitely that 5-pack combiner we saw in the stock listings a while back. Listed for like, $40 or something, wasn't it? Sorry about that bud, checked right before I uploaded this for other threads and didn't see any. Why would one need spoiler tags, though? Everyone already knows about the creators if they saw AOE. No alt mode for Skulk aside from torso? It's likely not shown yet just to keep his alt mode a surprise. We can not assume everybody knows that. Not harm done, thanks for sharing too. I see, but that thread is about Isabella Moner, in this case it would be better to have it on separate threads. No I know, i just posted it so that the credit would be given correctly. I wonder if Quintessa is made of energy or something like that... can't understand from the picture. Even though its repaints and one new mold, I really dig the guy more than Abominus! This is pretty awesome? I never got the Abominus set I passed by constantly, so that's a little extra incentive for me. It still looks pretty damn metal. Ok, so looks like dragonstorm, stealbane, et al. will be analogous to the prime predacons, and be under the control of the quintessons.